Are you Experiencing Unhealthy Stress? Entering post-secondary education is a stressful experience for everyone, regardless of ethnicity, income, or gender. Stress is part of life and isn’t always a bad thing. That said, there is definitely unhealthy stress that has a tenancy to pile up on campus. 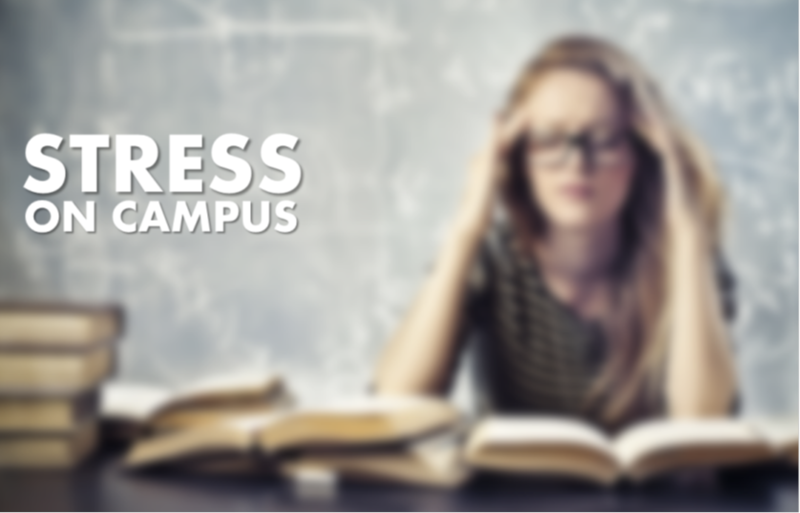 Understanding that you will experience stress, knowing the triggers, and building mechanisms to help you cope is also part of the college/university experience. The problem arises when students keep silent about stress and don’t ask for help. Breathe! Does your chest feel tight? You may be unknowingly holding your breath, decreasing the amount of oxygen in your blood and causing headaches, muscle tension and an increased heart-rate. Manage your time. It’s important to plan ahead, and to time for stress reduction and self-care. By spreading yourself too thin, you increase the risk of burn-out. Talk it out. Bottled-up emotions increase frustration and negative stress levels. By sharing your feelings with someone you trust, you could gain clarity or new insights. Get physical. Physical activity plays an important role in stress reduction, especially for those who spend much of their day at a desk. Identify an activity you enjoy, and find room in your schedule. Take care of your body. Eat healthy and get lots of sleep – you’ll feel energized in both body and spirit. Avoid too much caffeine and sugar, as both provide a quick high but lead to a big crash. Well-nourished, well-rested bodies are better prepared to deal with stress. Know your limits. Stress often results when we try to exert control over people or situations. Accept there are circumstances beyond your control. Most importantly, talk about the stress you’re experiencing with your friends, family or an on-campus counselor. Thanks to Red River College for the lists shown here and for the great job being done on campus to educate students about the perils of unchecked stress.